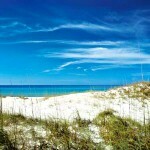 It’s a fact that the sugar-white sands and blue-green waters of the Northwest Florida and Alabama Gulf coasts attract millions of visitors each year. But did you know that these locations also offer some of the best fishing in the world? In fact, the fishing fun is just as bountiful as sunshine here. And you don’t have to sign up for a charter and travel miles out to deep water to score a respectable catch. 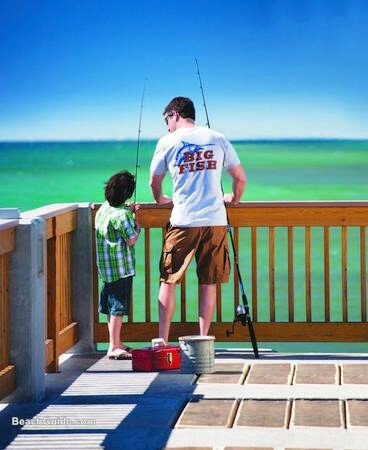 You can hang your line over one of the area’s numerous fishing piers or plant your feet in the sand and go Gulf Coast fishing right from its beautiful beaches. For more detailed information on world-class fishing along the Alabama and Northwest Florida Gulf coasts, check out the following monthly fishing reports, or go to Gulf Shores Fishing, Orange Beach Fishing, Perdido Key Fishing, Pensacola Beach Fishing, Fort Walton Beach Fishing, Destin Fishing, Hwy 30a Fishing, or Panama City Beach Fishing. Thanks to the sub-tropical climate, the middle of winter is still pretty fantastic here – from both a temperature standpoint and a fisherman’s perspective. The temperatures often climb into the 60s. And while the year might be brand new, many of the same species of fish can be found in the bays and not too far from shore: trout, reds, flounder, and sheepshead. Those who want to set up shop on the beach or a pier will have a shot at landing the bonito, pompano, whiting, redfish, and sheepshead that cruise the shoreline and sandbars early in the morning. Predatory fish like grouper and snapper love to hang around reefs, shipwrecks, and buoys, so fishing on the bottom (fishing with a weight and baited hook on the line at shallow to medium depths) will net catches that include amberjack, scamp, red grouper, triggerfish, and vermillion snapper. Book a deep-sea fishing charter to take you miles out, and you’ll get a small chance to reel in some sizable tuna, which are biting – although not in abundance – even in the coldest months. While February might be the coldest month of the year for Northwest Florida and Coastal Alabama, the sheepshead fishing has never been hotter. When the temperature is warm enough to be enjoyable, get out on the bays and net your limit, along with the trout, white trout, redfish, black drum, and flounder typically found in the bays in February. Like January, February features ample days that are warm enough to fish from the beach or a pier. Close-to-shore catches this month may include the bonita, pompano, whiting, redfish, and sheepshead that cruise the shoreline and sandbars early in the mornings. Bottom fishing will again yield amberjack, scamp, grouper, triggerfish, and snapper. These species feed on smaller fish at the ocean floor near wrecks, reefs, and other submerged objects. Tuna are still way out there, and catching them requires deep-sea adventures. As spring officially rolls in, so do the cobia, signaling the resetting of the fishing calendar. An awesome array of species begins returning to the area, getting sport fishermen and charter captains fired up. King mackerel and Spanish mackerel start swimming in and around the shoreline in March, and the jack crevalle numbers really begin to grow in waters not too far offshore. In the latter part of the month, the number of mackerel caught from the piers can approach up to 50 per day. As Spring Breakers begin to fill the beaches, the pompano and Spanish mackerel begin filling the shallow waters close to shore. Warm weather is here to stay in April – and so is the abundant fishing. It’s rare for a cold front to make it through this area after March. Morning temperatures often begin in the 50s and quickly heat up to the 70s or even the 80s. Water temps are beginning to get pretty warm again, and cobia tournaments are in full swing throughout the area, especially on the weekends. Tournament fishermen can plan on catching copious amounts of cobia and mackerel nearly everywhere at this point. May marks the time of year when the pelagic species of fish (those that inhabit the water column rather than the ocean bottom or near shore) begin migrating back to the Florida and Alabama Gulf coasts – just as the Spring Breakers are leaving and/or gone. 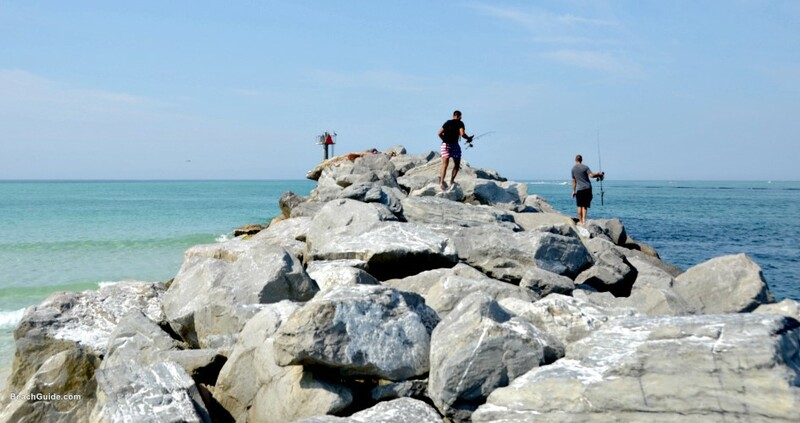 This time between Spring Breakers and summer beach vacationers is one of the best times of year for fishing here! Warm weather and warm water have weed lines forming 10 to 80 miles offshore, so the wahoo and dolphin begin pushing in closer to the shore. The cobia and mackerel are still abundant and biting, although the pompano are beginning to dwindle. 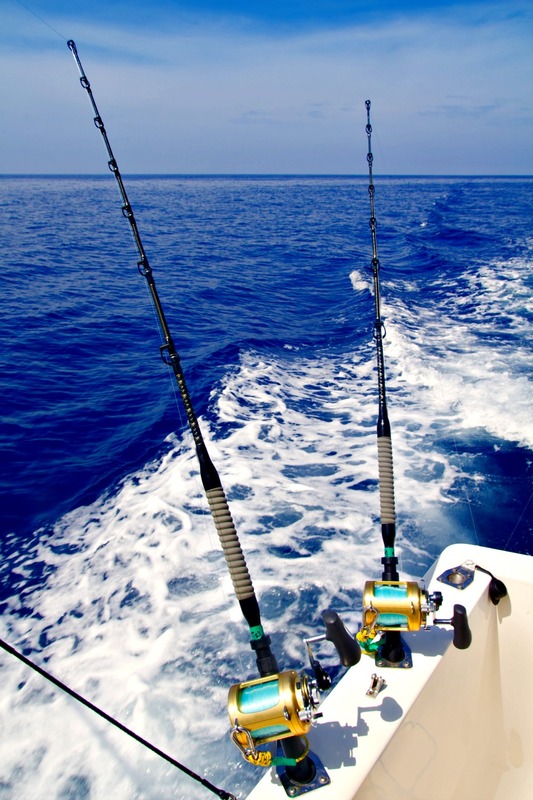 Take a trip farther offshore, and you’ll notice good numbers of blue marlin, white marlin, and swordfish. May also marks some of the best offshore opportunities to fish for yellowfin and blackfin tuna. Anglers not interested in straying far will want to try their luck in the bays, where they should find good numbers of trout and reds. 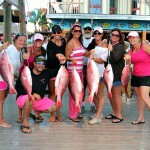 Bottom fishing for red grouper, scamp, vermillion snapper, and triggerfish is also good in May. The arrival of consistent 80-plus-degree days coincides with the arrival of red snapper season in full force. This is one of the most fun offshore catches you’ll find in the area, and it makes for some incredible dinners, too. 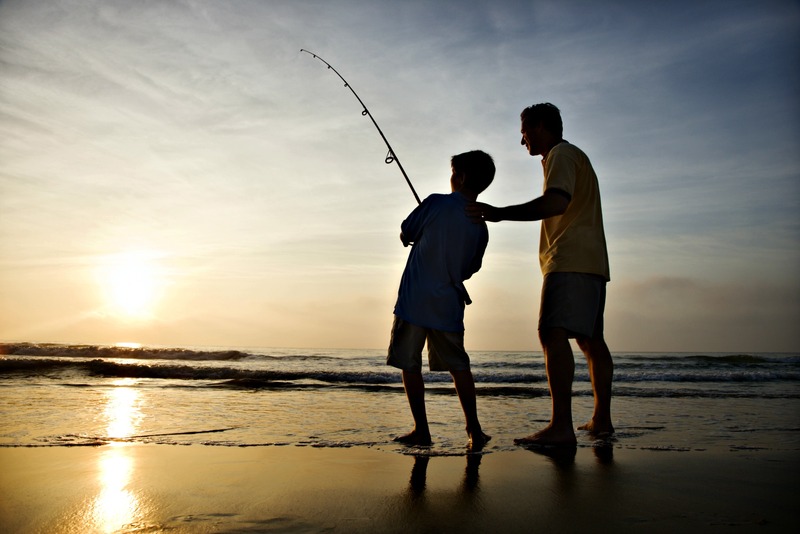 Close to the beaches and piers, anglers will catch plenty of tarpon, ladyfish, bluefish, and the last of the pompano. Offshore, charter patrons and boaters will notice that wahoo, dolphin, tuna, mahi-mahi, and marlin are biting. Closer to shore, in shallow waters and near reefs and wrecks, there will be plenty of king mackerel, plus a few cobia and chicken dolphins. Fishing in the bays will yield trout and reds, which are still quite active on the flats and docks in June. 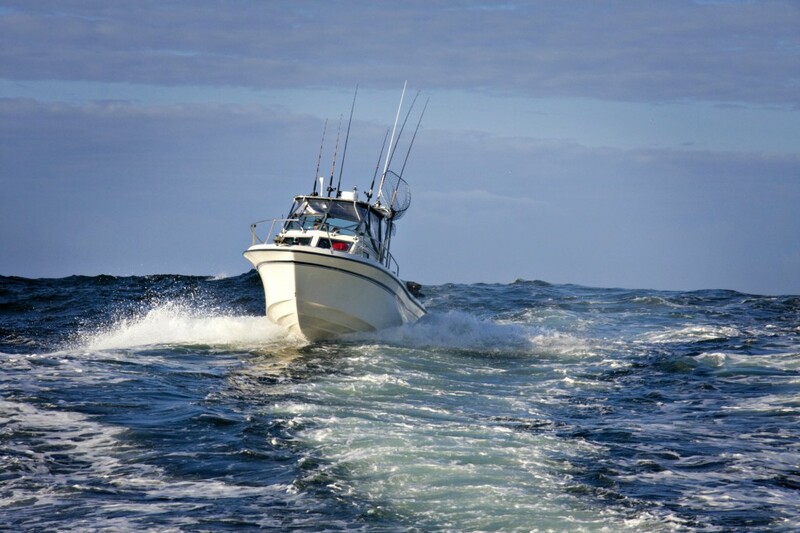 July is when many of the big offshore fishing tournaments are running. Deep-sea tournament participants will find game fish aplenty in the form of wahoo, dolphin, tuna, swordfish, and marlin. July also marks the opening of gag grouper season, which runs concurrently with red snapper season for a good portion of the month. Close to shore and from the beaches and piers, fishermen will fill their ice chests with tarpon, king mackerel, ladyfish, dolphin, bluefish, bonito, and Spanish mackerel. July is quite possibly the height of tarpon season, so expect excellent numbers nearly everywhere. Trolling and bottom fishing in July will yield great catches of vermillion snapper, red snapper, grouper, scamp, and almaco jacks. Summer’s beginning to wane, but August continues the heat with temps in the 90s. August also marks the return of amberjack to complement the great red snapper fishing in bays and waters close to the shoreline. It’s the time of year, as well, when nearly every species is in legal season, so the month’s fishing is a lot like a buffet with plenty of options. The tuna and marlin are never biting more than they do in August, and sailfish will begin moving in close to the beach for the next few months. That means opportunities abound for some fun sport fishing. In the shallow waters and near the piers, anglers may reel in great catches of bluefish, Spanish mackerel, and king mackerel, as well as ladyfish and bonito. Just watch out for those beach-goers, as July and August are popular months for beach vacations, too! As fall approaches, so do the blackfin tuna – approach the shoreline, that is. Blackfin tuna has become one of the most popular catches along the Emerald Coast in recent years. And most of these fish can be caught within one to three miles of the beach. September is also perhaps the best time for catching sailfish inshore. As the number of tourists drops significantly, bottom fishing begins to make a comeback. It will again net you a decent chance at catching red grouper, scamp, vermillion snapper, and triggerfish. If you are a true angler, then October is the month for you to visit the Alabama and Northwest Florida Gulf coasts. There are fishing rodeos practically every week in Navarre Beach, Panama City Beach, and Port St. Joe. 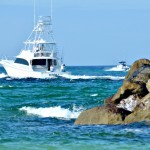 The month-long fishing rodeo in Destin, Florida attracts thousands of participants every year. The weather is perfect, with warm temps and low humidity, and the local fish are seriously on the move as the seasons prepare to change. So exactly what will you catch during this fishing frenzy? Well, a few of the popular catches near shore include tuna and flounder, while offshore trips yield plenty of marlin and sailfish. Red snapper and grouper are still out in full force, and triggerfish are being brought in by the boatload. Don’t forget that you can fish from the piers and beaches, too. There you’ll hook some redfish, bluefish, mackerel, flounder, and the last of the baitfish for the season. The point is that nearly every species of fish is out and about at this time of year – and there are fishing competition categories and prizes for them all. So, plan a fall vacation and tip the weight scales with incredible catches and fish stories instead of baking on the beaches in the summer sun! November keeps the fishing scene hot even as the temperatures begin to cool. Flounder fishing is at its peak this month, and you won’t need to go far to catch them because they are biting in the bays, near the shore, and around reefs and wrecks in shallower water. Also abundant in November, redfish are everywhere, from the bays to the flats and around the docks, bridges, and passes. And you’ll find plenty of trout in the flats, where they’ll be biting on topwater lures. Mullet can be found in large schools by the beaches and caught in your net as they head in toward the bayous and inlets. Inshore anglers who choose to brave the yo-yo weather (temps can be in the 60s and 70s one day, and in the 40s and 50s the next) can net flounder, trout, redfish, and black drum. Bottom fishing will yield grouper, amberjack, vermillion snapper, or scamp, while fishing from the piers or beaches might yield redfish, bonito, or flounder. There could still be a bluefish or two hanging around close, and it’s still possible to land some tuna if you want to venture out 20 miles or more from shore. 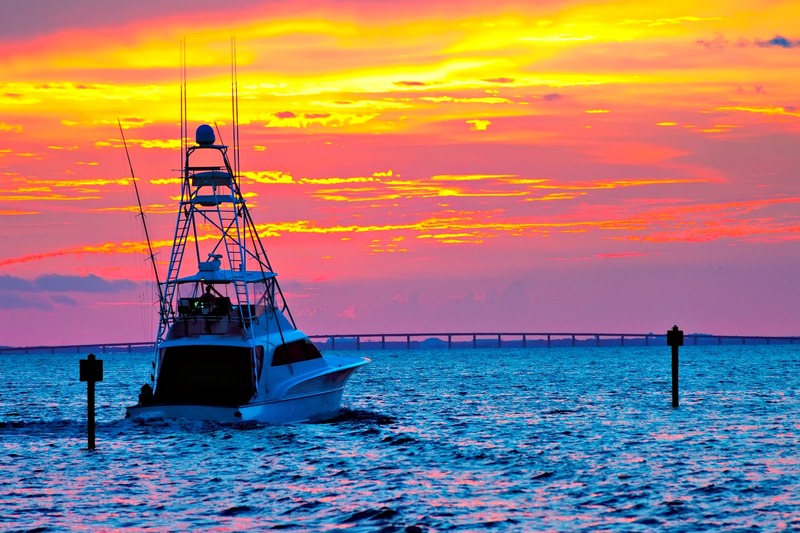 No doubt about it, Florida and Alabama offer a treasure trove of Gulf Coast fishing all year-round. 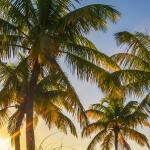 Just pick your favorite month (or months), then check out the vacation rentals, fishing charters, and more on BeachGuide.com to plan your trip. And don’t forget an ice chest so you can share your catch with the folks back home!